China's foreign trade fell in February partly due to business disruptions caused by the week-long Lunar New Year holiday, customs data showed Friday. Foreign trade of goods fell 9.4 percent year on year last month to 1.81 trillion yuan (about 270 billion U.S. dollars), the General Administration of Customs said. Exports dipped 16.6 percent year on year to 922.76 billion yuan last month, while imports decreased 0.3 percent to 888.3 billion yuan. Although Friday's trade figures raised concerns about a further slowdown in the world's second-largest economy, analysts cautioned it was difficult to compare trends in China's data at the start of the year due to the Spring Festival holiday, which came in early February this year and could affect business activity. China on Saturday reported milder inflation in February, with consumer prices at the lowest level since January 2018, leaving room for authorities to maneuver macroeconomic-control policies. "The lower year-on-year CPI was largely due to a high comparison base in February last year, when CPI stood at 2.9 percent," said Deng Haiqing, chief economist at JZ Securities, adding that February's CPI is likely to be the lowest monthly reading this year. China's new yuan-denominated loans stood at 885.8 billion yuan in February 2019, up 46.5 billion yuan year on year, central bank data showed Sunday. In the first two months, the country's new yuan-denominated loans increased by 374.8 billion yuan year on year to hit 4.11 trillion yuan, according to the People's Bank of China (PBOC). Seasonal surge in new yuan loans in January contributed mainly to the growth in the first two months, Yi Gang, governor of the PBOC, told a press conference on the sidelines of the annual legislative session. The M2, a broad measure of money supply that covers cash in circulation and all deposits, rose 8 percent year on year to 186.74 trillion yuan at the end of February, according to the PBOC. The M2 growth was 0.4 percentage points and 0.8 percentage points down from the levels at the end of January and the same period last year, respectively. The narrow measure of the money supply (M1), which covers cash in circulation plus demand deposits, rose 2 percent year on year to 52.72 trillion yuan by the end of last month. M0, the amount of cash in circulation, fell 2.4 percent year on year to 7.95 trillion yuan by the end of February, according to the PBOC. Newly-added social financing, a measurement of funds that individuals and non-financial firms get from the financial system, stood at 703 billion yuan in February, down 484.7 billion yuan year on year. 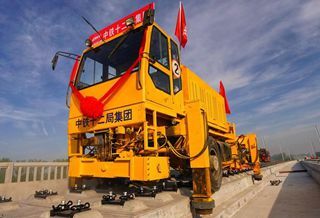 In the first two months, however, newly-added social financing totaled 5.31 trillion yuan, up 1.05 trillion yuan from the same period last year.